In an article featuring NSX exterior designer Michelle Christensen, LA Times has posted an early glimpse of the production NSX. 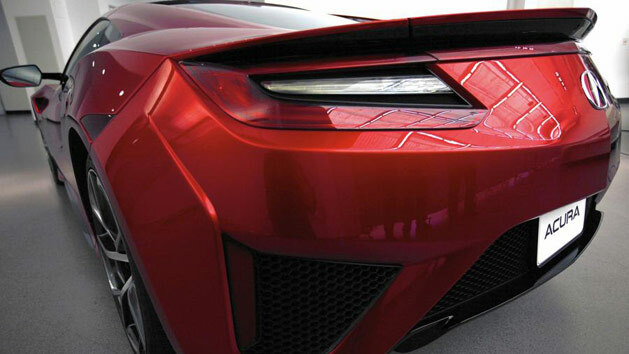 The two carefully composed photos reveal some new exterior features without giving away too much ahead of the official NSX debut tomorrow at the North American International Auto Show. Read up on Acura’s first female exterior designer Michelle Christensen at latimes.com – For new NSX, Acura’s designing woman. Apparently they left out the fact that she left for GM for a few months before coming back to AHM.